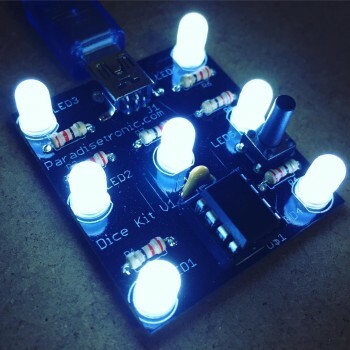 The Dice Kit is the ideal kit for your first steps into electronics and a perfect way to learn soldering. 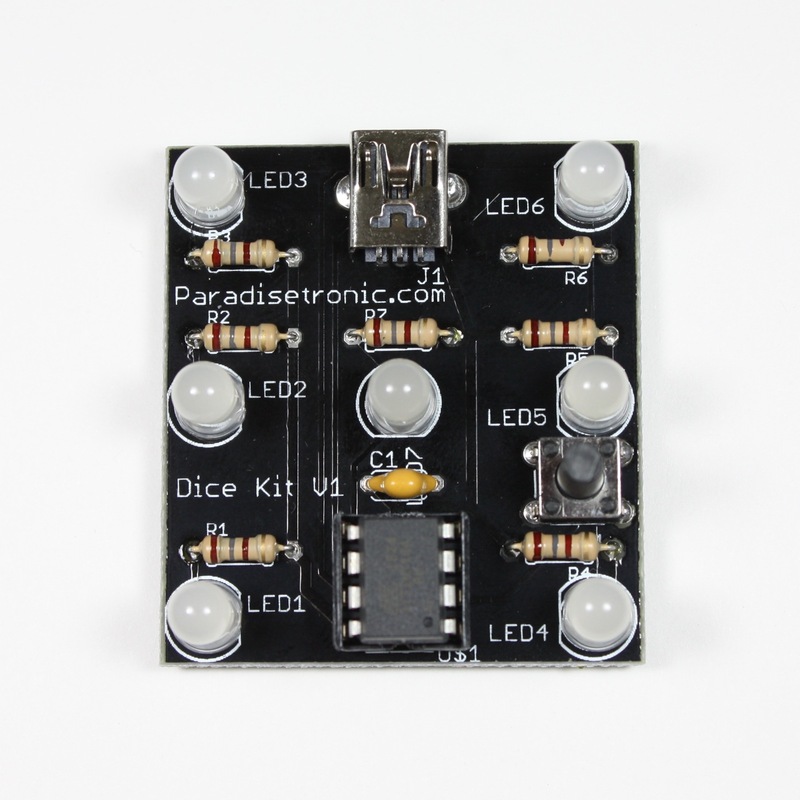 The Light Chaser is powered by a Atmel AVR Microcontroller that can be programmed individually (further parts needed). A typical dice sequence can be seen on our Instagram. 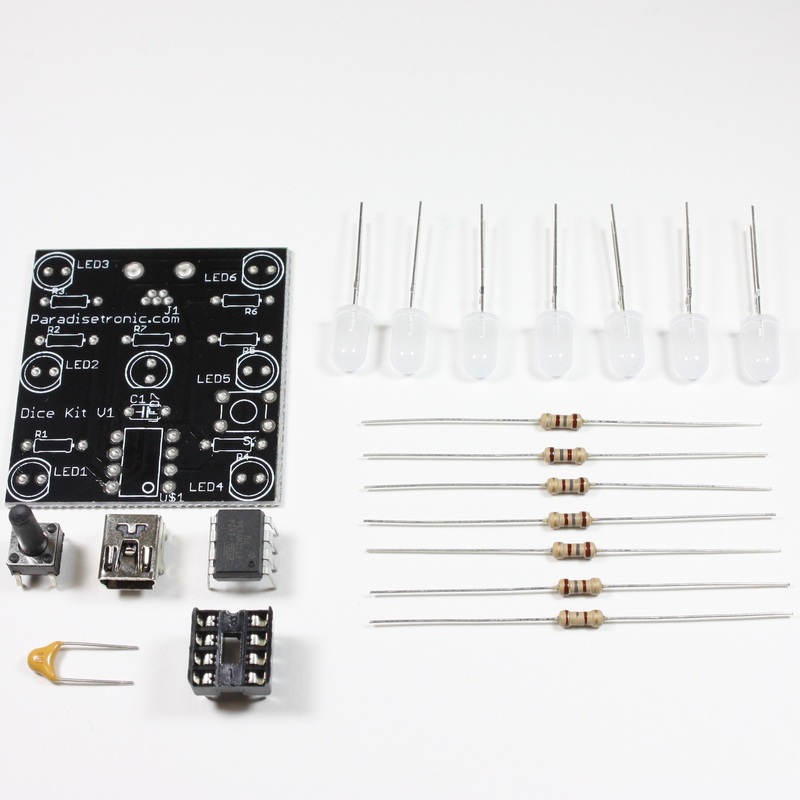 The kit is designed for 5 V and comes with a miniUSB connector. So can use any miniUSB cable to plug it into your computer, phone chargers or power banks.